With the Salt Lake Bees down by nine runs to the Albuquerque Isotopes by the top of third inning, the game appeared to be over as soon as it started. The Bees avoided the blowout that seemed to be by steadily scoring runs throughout the game, but after a three-hour, 35-minute game, they fell to the Isotopes 9-8 on Sunday night at Smith's Ballpark. Salt Lake used six pitchers, with none pitching for over two innings. Starting pitcher John Lamb threw 54 pitches in which he struck out three and allowed 12 hits and nine runs. Turning Point • The second at-bat in the first inning was a two-run homer by Albuquerque's David Dahl. The Isotopes managed to string together three more runs before the end of the first. In the second inning, the Isotopes smashed another home run in addition to two other runs to put them up 9-0. Bees MVP • Jefry Marte went 3 for 5, including a two-run home run. He was also walked once and stole one base. Hidden Hero • Kaleb Cowart batted 3 for 7 and was responsible for three of the Bees' eight runs. 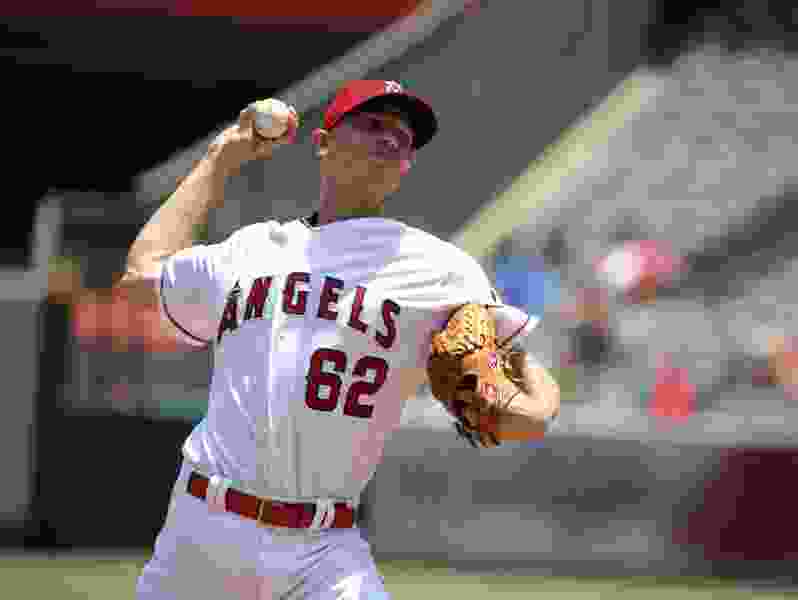 Angel Angle • Parker Bridwell, who spent most of the season with the Bees before being called up to the majors on July 16, started for the Angels on Sunday and got the win as they beat the Red Sox 3-2. Bridwell threw 78 pitches, allowed five hits, two runs and struck out three batters through seven innings. What's next • The Bees will close out their four-game homestand against the Isotopes on Monday at 6:35 p.m.